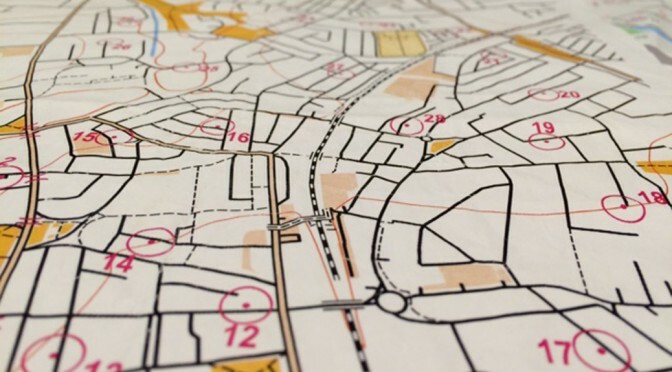 The Yorkshire and Humberside Schools’ Orienteering Championships will take place on Saturday 2nd July 2016 on a newly mapped area at Farnley Tyas Estate, Field Lane, Farnley Tyas, Huddersfield HD4 6BS. It is being hosted by East Pennine OC. It includes courses for adults too, so why not take your mum and dad along? All welcome; just come and have a go. This event will form part of the EPOC weekend of orienteering along with an urban event on a new map of Huddersfield. For more details contact the organiser, Viv Barraclough or visit www.eastpennineoc.org.uk. The final event for the Winter Blues StreetO series took place yesterday. Thanks to Steve and Luke Fry for a very successful first attempt at planning. Results are here. Look out for details of the Spring / Summer series, which will be published after the JK. Results are now up for last night’s Winter Blues Street-O from West Cliffe Grove. A little snow on the ground didn’t deter 10 runners – enough for Mens and Ladies results so two winners. Many thanks to Ruth and the girls for both planning and refreshments. Footnote – are you missing a pair of gloves? Have a word with Ruth!